Last Saturday a group of food bloggers from across England gathered in Johanna's lovely house in Twickenham to have a Christmas do and swap delectable cookies. It was an all-girls' affair which included (besides Johanna) Zabeena, Joanna, Jenni, Melissa and her friend Wompe, Jeanne, Martina (Johanna's caterer friend) and me of course. We first had delicious bratwurst with sauerkraut (which I forgot to take a picture of). The sauerkraut is probably the first I tasted that I liked. Often, the ones I had before were either too sour or too spicy for me. But this one that Johanna said she got from Waitrose was just right. 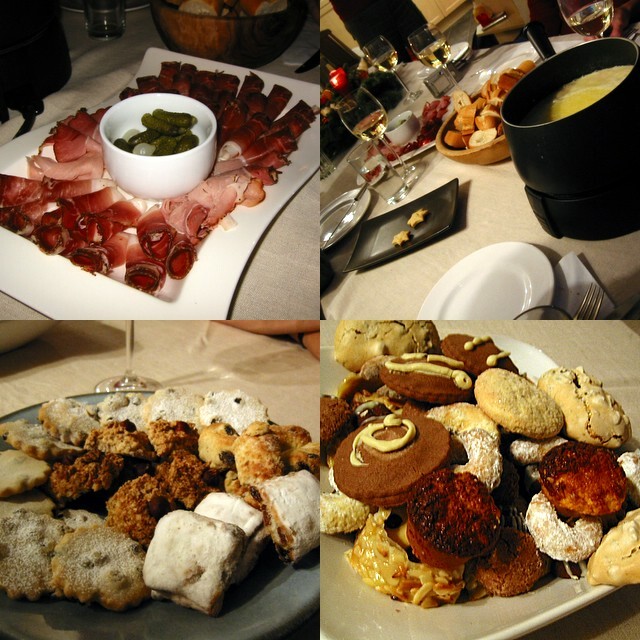 Then she got out platters of sliced Austrian ham which we had in a cheese fondue with chunks of crusty bread. Very nice! Okay so on to my next disaster ... err ... I mean next cookie. I attempted to make Sanikulas and got a recipe thru the kindness of Karen. The dough looked okay, so I made them into small balls and since I don’t have a cookie mould, I pressed it flat with the tines of a fork. It was easier said than done because the dough became quite rubbery. But I pressed on and when I tasted the first batch it was distinctly bland. I didn't think there was enough sugar in it. So I rolled the next batch in sugar before pressing them. Needless to say, the resulting Sanikulas were bleechh ... edible but not something I would be proud of. I should have named it Sanikulas via Santacelia due to the number of changes I made to the original recipe. The other one I made was the chocolate marzipan cookie. In the recipe, it had measurements both in weight and volume. I decided to follow the volume which was a mistake since there appeared to be too much butter so the dough was too sticky. To correct it, I had to add more and more flour which in turn diluted the chocolate flavour. Then the topping should have been drizzled white chocolate but the one I used was more for eating rather than for cooking/baking so it was not runny enough causing a lumpy looking topping. With these disasters, it's a good thing I made some coconut macaroons whose recipe I am absolutely confident about. I guess the lesson here is not to prepare recipes for the first time when serving it to other people, just stick to tried and tested ones to avoid unnecessary stress. Going back to the EB, we also had fun swapping cookies just before we left. And Johanna gave us a taste of her homemade choco-mocha liquor - it was scrumptious! I gotta have Johanna's recipe even if I have to beg. ;) Admittedly, I had a nice time that day not only were the food and drinks wonderful but the company and conversation were lively. A very big thank you to Johanna and her family for their generosity and graciousness in hosting this event. Merry Christmas to one and all !! In all the cookbooks I consulted for this dish, I never found one that had fish or even fish sauce in its ingredients. So it's a mystery to me why this is described as 'fish flavoured'. Maybe someone out there knows the history? I think I read something in Deh Ta-Shiung's book on the explanation but I couldn't remember what it was. 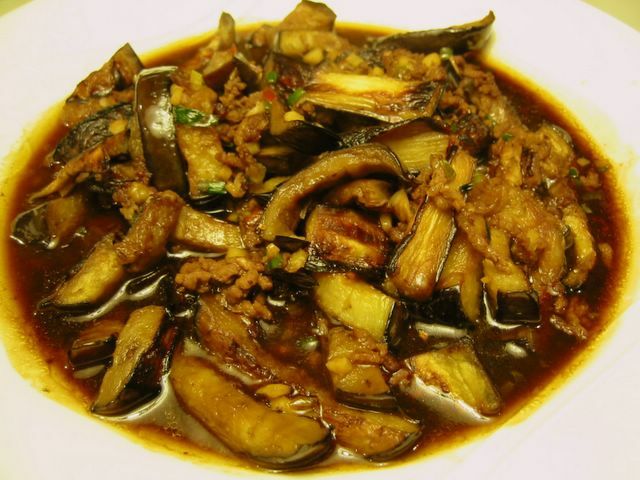 The original recipe I adapted from the Chinese Cuisine by Huang Su-Huei requires deep frying the aubergines (eggplants). Since I know aubergines are notorious suckers of oil (they're like sponge), I decided to pan fry it in a teflon pan and drizzled with a little oil. You get the same flavour but with less oil. Combine the cornstarch and water, mix well. Set aside. Mix the soy sauce, stock, sugar, vinegar, and cooking wine in another container. Set aside. Put the aubergines in a non-stick pan and drizzle a little to pan-fry until soft and cooked. Do this in batches. Set aside. In a wok, heat about 1 Tbsp oil until smoking hot. Stir fry the minced pork until it changes colour (about 3 minutes). Add in the hot bean paste, stir to mix. Then add the chopped green onion, garlic, and ginger. Stir fry until aromatic. Stir in the fried aubergines. Add the soy sauce mixture and cook for 1 minute. Thicken sauce by adding in the cornstarch mixture. Bring to boil and stir. Dish up and serve. 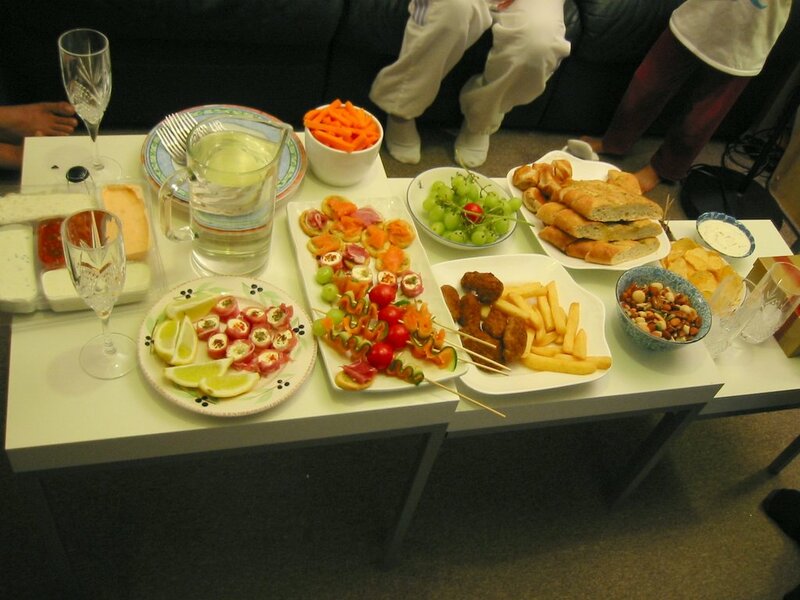 Thursday last week was the 15th anniversary of our church wedding so I thought why not have just nibbles and drinks for a change and totally indulge ourselves while we all sat in our sofa watching Madagascar. The two things that entered my mind when Stephanie mentioned 'indulgence' are smoked salmon and parma ham. Loved them a lot but as you can imagine because of the steep prices of these premium delicacies that I possibly cannot have it every week or even every month. But since it's our anniversary so ... la-di-dah. 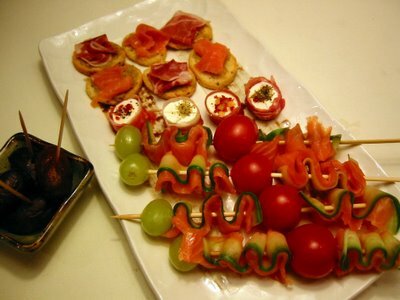 I found this great looking hors d'oeuvre (I can never get the spelling of that right - horse divers? horror dervs?) on sticks in the latest Olive magazine issue. The green grapes were added to put some sweetness in it. I simply love the way the cucumber refreshingly cuts through the saltiness of the smoked salmon. Then to save time I just bought some ready made cream cheese appetizers with some herbs on top which I wrapped in slivers of parma ham. Plus I bought some ready made crostinis in which I spread some olive tapenade (gift from the lovely Sha) and topped with slices of parma ham or smoked salmon. Leftover bite-sized chorizos from Brindisa was also made to good use. 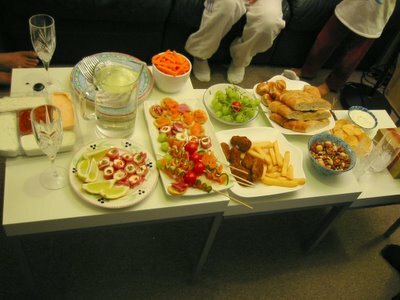 I had ready made dips, some crisps (potato chips), carrot batons, and mixed nuts. For the kids I made extra finger foods - sausage rolls, chips, some chicken wings, garlic bread, green grapes and we were ready to go. Oh yeah, for dessert I've got Belgian chocolates and option of ice cream. Since it's a celebratory do, I bought a bottle of Cava for me and the hubster while the kids have fruit juices. 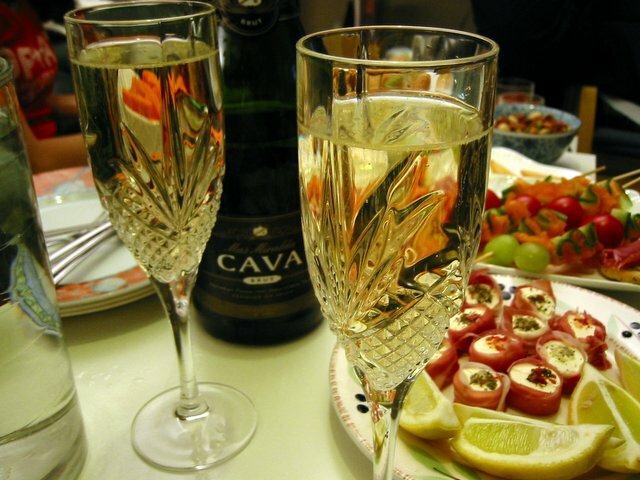 My kids loved the change from our usual dinner and we toasted enthusiastically for more years of family bliss. Wash and dry the cucumber, cherry tomatoes, and grapes. Using a potato peeler, cut cucumber into strips. Cut the strips into about 6-inches in length. Lay a smoked salmon strip on top of a cucumber strip. Thread this in a short bamboo stick in a zigzag manner. Next pierce a cherry tomatoes through then repeat smoked salmon and cucumbers. Top with a green grapes. 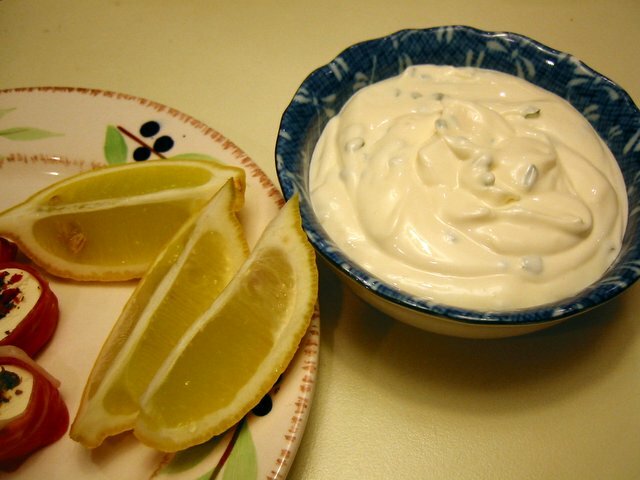 Serve with slices of lemon and dip. Combine and mix all the ingredients in a bowl. Taste and adjust seasonings if needed. This is one of the basic recipes that my eldest (the apple monster) have been requesting me to make for the longest time. Very easy to do therefore very little chances of having a disaster. 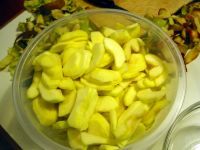 Probably the only thing that slowed me down is the peeling and coring of the small Cox apples I got from the supermarket. When I see that apple peeler/corer again in a shop I gotta remind me to buy it to save myself from the peeling chores. Anyway, back to the dessert, it's like an apple pie without the crust. 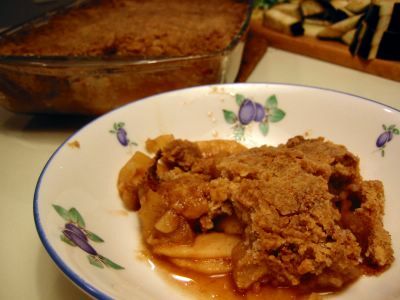 You just mix the apple slices with the sugar and spices, tip everything in a baking pan then top with the 'crumble' which is a mixture of flour, butter, sugar, and more spices. You can imagine the infinite number of variations you can do with this basic recipe like have different combination of fruits, cheese or ground nuts in the toppings, etc. Put the flour in a bowl. 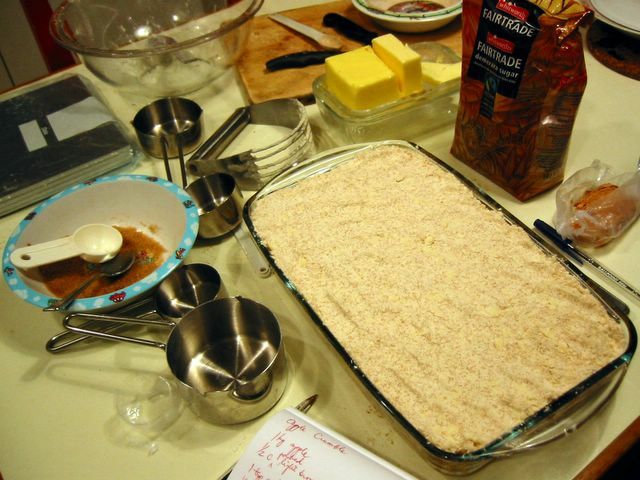 Cut the butter in with pastry blender or two butter knives then rub in by hand until it resembles coarse breadcrumbs. Mix the sugar and cinnamon then add in this mixture to the flour. Combine well. Set aside. Combine the brown sugar, cinnamon, and nutmeg in a bowl. 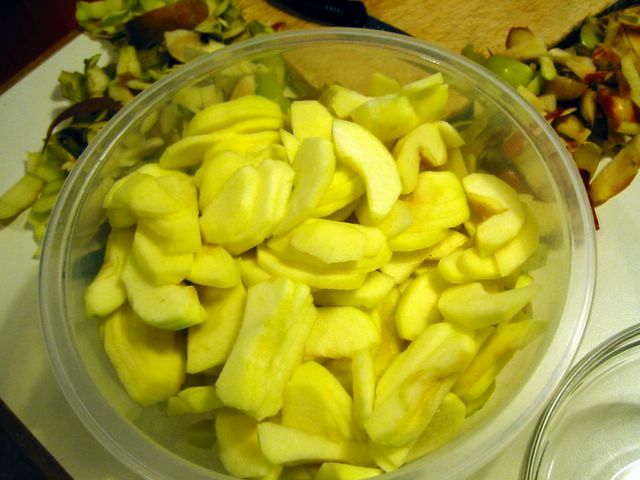 Toss the sliced apples in this mixture. Tip the apples in a 7 x 11-inch baking pan (or any size of baking pan as long as everything fits in). Pour the flour mixture on top and pat it down well. Bake for 40 minutes or until top is golden brown and apples are bubbling. Serve warm. You might have noticed that a lot of the recipes I do here are quite 'basic'. To be frank, I only started cooking and baking in earnest in the last few years although I've been a lifelong enthusiastic eater and food lover. It's only when I lived on my own in Hong Kong and got married a year later that I was forced to cook everyday. However, the lack of kitchen implements, more importantly a decent oven, hindered my development as a cook. So now that I am sort of delving deeper into cooking and food appreciation that I began to educate myself of the basics in cooking. That is the reason why I have a lot of traditional or unsophisticated dishes here besides the fact that I love uncomplicated food. One advantage of this is you get to have new insights on the different variations you can do or perform the same techniques to a different dish. When I was doing these classic flapjacks, I suddenly remember a coconut sweet snack that my mother made when we were young. 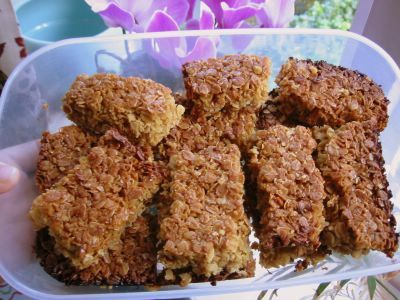 And I realised that I could do it in a flapjack way, i.e. 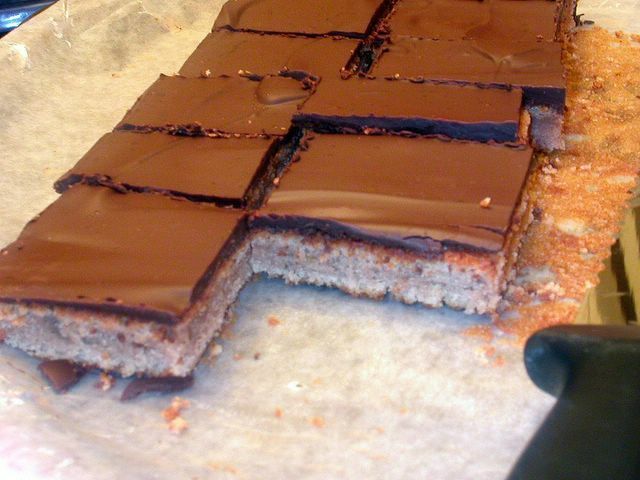 press in a baking pan and bake a little to make it come together and then cut into bars. Great! 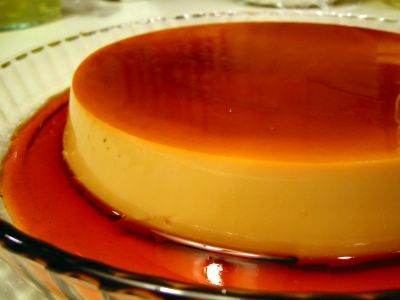 Now I have to call long distance to confirm the recipe with my Nanay. As for this lovely snack, it is so moreish that I couldn't keep myself from eating them. It must be the nice combination of golden syrup and muscovado sugar plus the wholesome goodness of the oats. I suggest that the oats you use should have as much whole ones as much as possible, having porridge grade oats will make it quite crumbly. The BBC Good Food magazine's 101 Cakes and Bakes provided the recipe that I adapted. 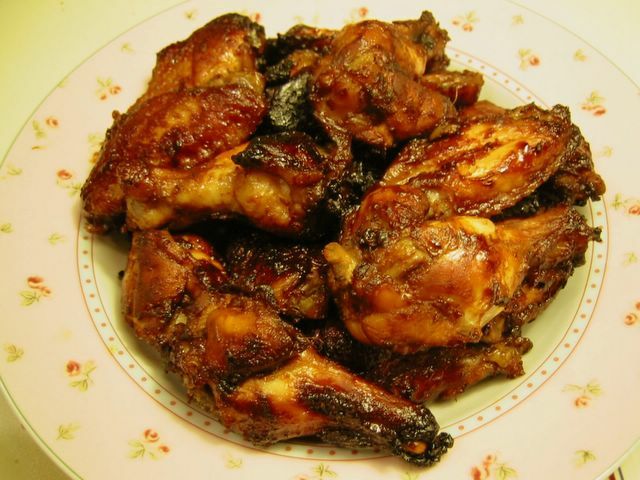 Preheat oven to 180°C/fan 160°C/350°F/gas mark 4. Line a 9-inch baking pan with grease-proof paper (if it's not non-stick). Put butter, syrup, and sugar in a saucepan and heat gently until sugar is dissolved. Remove from heat and add in the oats. Mix well. Press into the prepared baking pan and bake for 20-25 minutes or until top is golden brown. Cool in baking pan for 5 minutes and cut into squares or bars. Cool completely in the pan then remove carefully. This is to prevent it from falling apart. We had a box of mushrooms one time that needed to be used up fast. It was expiring a day later. Since I have a handy ready made puff pastry and some beef in the fridge, I thought I'd adapt this recipe I found from the BBC Food website. It suggested ale (a type of beer) in which the Guinness sitting in my pantry came in handy. Btw, Guinness beer is actually a 'stout' which is a class of ale beers. Whether you use an ale or stout or porter, it will do well in this dish. Heat oil in a heavy bottomed pot and saute onion gently until translucent (about 5 minutes). Stir in beef and cook until browned. Add in the flour, cook until dark brown (about 1 minute). Mix in the mushroom ketchup, Wostershire sauce, thyme, parsley, bay leaf, salt and pepper. Slowly add beef stock and ale, bring to boil. Add mushrooms and lower heat to simmer gently until beef is tender (about 1 1/2 hours). If it is drying out too much add hot water or beef stock a little at a time. Preheat oven to 400°F/200°C/fan 180°C/gas mark 6. Remove beef from heat, skim off any fat, adjust seasonings and add more fresh chopped parsley if available. Roll out puff pastry and invert the pie dish(es) to be used onto it. Cut out a cover for the dish using the shape of the pie dish as outline. 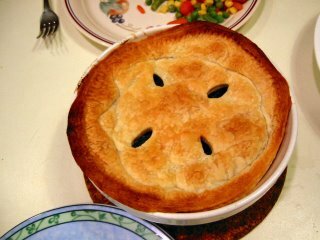 If you do not have a pie funnel, cut out holes in the pastry cover to let the steam from the filling to escape and not make the pastry soggy. Put in the whole lot (beef + sauce) in a medium sized pie dish or individual pie dishes. 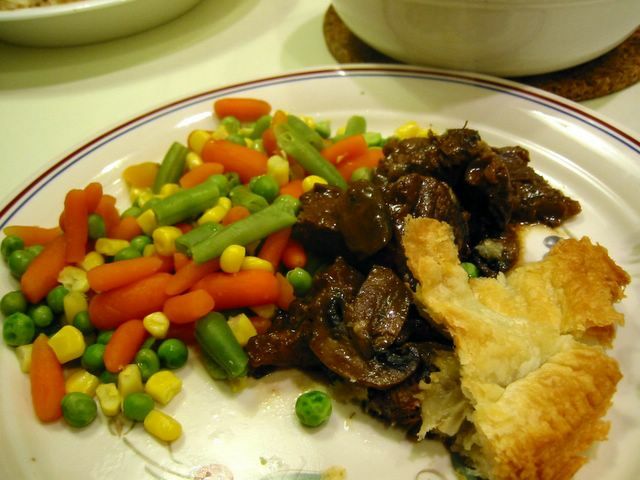 Cover pie dish with the prepared pastry and trim edge by hand or with tines of a fork. 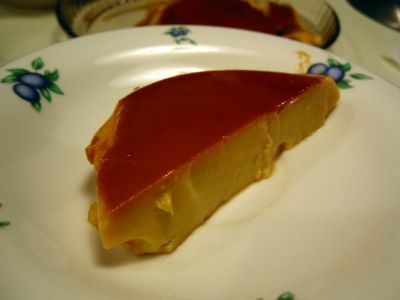 Bake for 20-25 minutes or until the pastry is well risen and golden brown. The Lasang Pinoy group decided to have a 'special edition' of the monthly food blogging event that showcases Filipino cuisine. Since it's in between the regular events, they christened it Lasang Pinoy 4.5 to underscore the issue of plagiarism in the blog world and in the internet as a whole. To be specific, this came about when pictures of Karen's and Market Man's yemas was printed in a Philippine broadsheet without their permission. 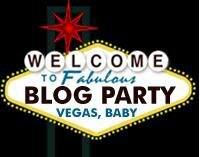 Most bloggers are generous with their resources all one has to do is ask for their consent to use their pictures. There have been numerous cases of copying images (and contents) in blogs then published in some other websites or forums. But this is the first time (AFAIK) that images from food blogs ended up in print! It may be easy deleting webpages but having them in a published newspaper is a very strong and undeniable evidence of the dastardly deed. The issue, it seems, has not been resolved entirely. It might be better if you follow the whole controversy by visiting here and here. 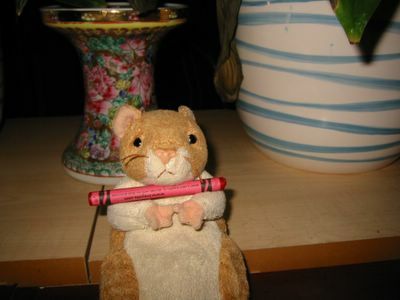 As for me, as a protest I borrowed Stel of Baby Rambutan's recipe and pictures with her permission - that is in bold letters. 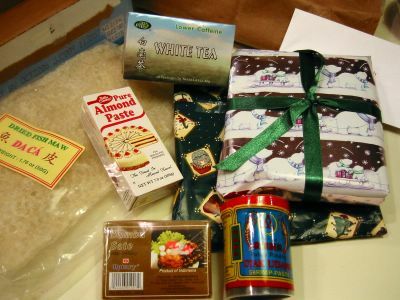 A few posts back, another food blogging friend gave me some yummy ingredients from her sojourn in France. That's why I ended up with chestnut puree/cream in my cupboard. 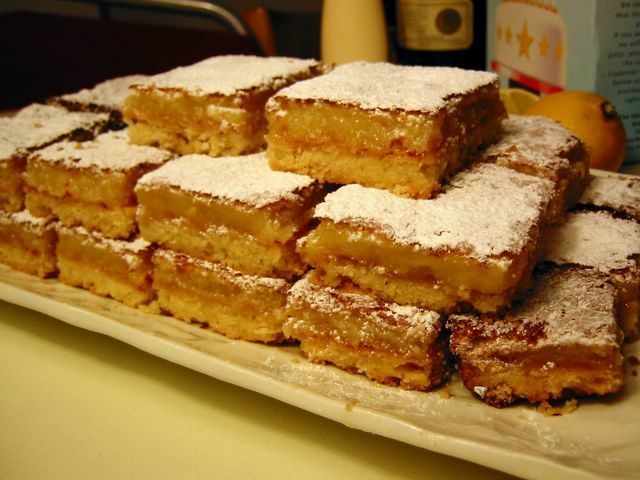 I so love this confection and Stel's previous baking posts saved me from digging up recipes for it. You have to understand why I was so ecstatic with the results of my baking - it's the first time in about 15+ years that I baked a meringue-based cake! The last time it came out so hard even our dog won't eat it. :) But this time, hah! it was oh so springy and soft and well risen - and no raising agents at that - only the beaten egg whites. Wheee! I was so happy I did the dance of joy ... 'One for the money and the free rides. It's two for the lie that you denied. All rise (all rise)'. LOL! According to Stel this recipe of hers, which I adapted, was in fact adapted also (2x times adapted will that make it original? Asa pa ako!) from The French Cookie Book by Bruce Healy with Paul Bugat. I did not use cream of tartar, it was already too late when I realised my pot was already expired. But even without it the egg whites peaked marvellously. Then I used half milk and half dark chocolates because I could imagine my kids not touching this with a ten-foot pole if they know it's plain dark chocolate. Lastly, I spread the choc topping while the cake is still in the baking pan. Why? So as not to waste the chocolate dripping needlessly by its sides. Well yes, I would surely scrape the drippings and eat them but it's nice to know they all ended up in the cake. Pre-heat oven to 425°F/220°C/fan 200°C. Butter and flour well a 9-inch square baking pan. Set aside 2 1/2 tsp of the sugar. In a bowl, beat the egg yolks with the rest of the sugar and vanilla with an electric mixer until light, thick and smooth. Add in the chestnut cream, followed by the butter. Mix well. Get another bowl and whip the egg whites with an electric mixer (make sure the beaters and bowl are clean and dry) on low speed until frothy. Add the cream of tartar at this point if you're using it. Increase the speed to medium-high until whites are stiff but not dry. Add the reserved sugar and continue beating at high speed for a few seconds to incorporate the sugar. Sift the flour over the chestnut-egg yolk mixture and mix with a wooden spatula. Add about 1/3 of the whipped egg whites into it and fold quickly. Then gently fold in the remaining egg whites. Do not overmix. Pour the batter in the prepared pan, spread evenly and smooth the surface. Bake for about 16-20 minutes or until lightly browned and springs back to the touch. Melt the chocolates by placing in a heatproof glass bowl over simmering saucepan of water. Pour melted chocolate on the cake, spreading it evenly, letting the excess flow down the sides. You can do this while the cake is still on the rack OR put back the cooled cake in the baking pan then pour the chocolate in the pan. The latter is to avoid wastage of chocolate. Cool and let the glaze set. 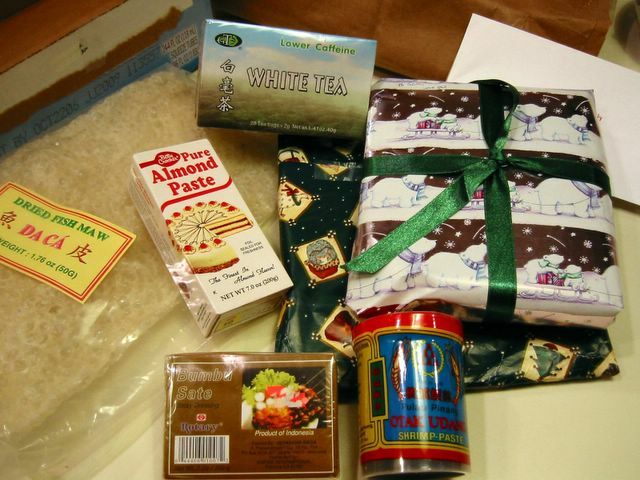 Last week I had a wonderful package from Greece sent by my dear blogging friend Sha who's residing in Athens. 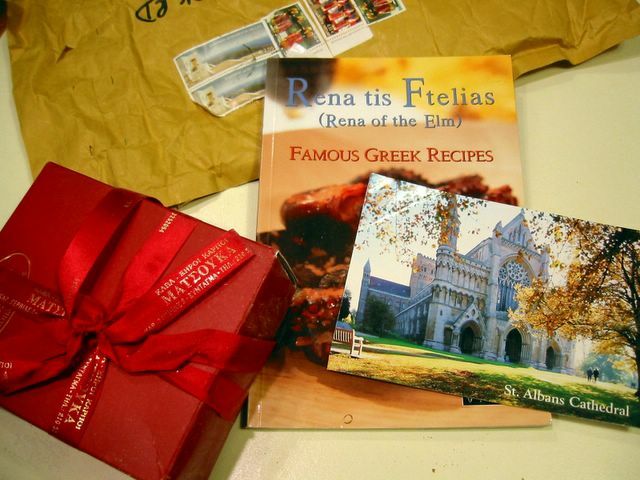 And what a very nice package it was - a postcard, a Greek cookbook (gotta try the recipes there), and my favourite Turkish delight! It was one of the best I've ever tasted. I know my Turkish delight 'coz my husband used to take these home regularly from his work stint in Istanbul a few years back. But talking about the sweets, it was not too sticky, not too sweet - just right, no rose flavour (which some of them have in abundance), and it's got nuggets of pistacios embedded in them. Yummylicious! I lost no time in devouring them, well actually I attempted to eat only a few and save them for another day but couldn't keep my hands off the box. 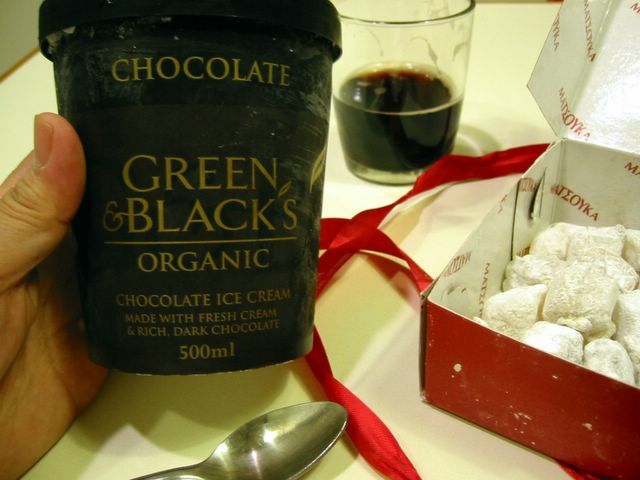 *sigh* Later in the evening, finally decided to sit down and do the whole hog and eat it with a glass of Guinness plus a tub of Green & Black's Chocolate ice cream - good combination eh? ;) The G&B ice cream (which I got as a birthday gift from Sainsbury's) was a revelation, after a teaspoon each, me and my kids were fighting over the little tub. It was sooo creamy and not overly sweet with a somewhat dark-ish real chocolate flavour though not bitter at all. Hey, what can I say ... 'twas a nice sugar-high evening. Thanks ever to you Sha!